Two of the game’s most respected voices, Bob Voulgaris and Daniel Negreanu, sounded off recently regarding a few different topics (with the added twist of Bob Voulgaris sounding off about Daniel Negreanu and Daniel commenting he will address these claims in his next vlog), as Daniel released his latest video blog chastising Howard Lederer and company, while Voulgaris went the more traditional route of posting a written blog on his site where he opened up about his time in poker and experiences with poker players. Voulgaris points out that by not investing he likely missed out on around $10 million in distributions –but I’d say he made the right decision in the end!—but the real meat if the blog has to do with how he was affected by Black Friday and the closure of Full Tilt. Voulgaris issues with Erick Lindgren have become infamous in the poker world, and for the first time Bob explains precisely what happened and how he feels about Lindgren and Daniel Negreanu, the latter for not “going after” his friend in the same way he attacks people he doesn’t like for similar offenses. 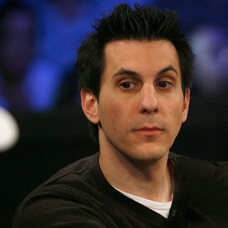 While Voulgaris doesn’t hold Daniel responsible in any way, nor does it seem that he dislikes Daniel, he does seem to vent quite a bit about his perceived double standard when it comes to the likes of people like Annie Duke and Howard Lederer, and the way he minimally criticized his friend, who is rumored to owe A LOT of money. This is one of the better blogs I’ve read in a while and really gives you an insight into some of the goings-on in the high-stakes poker world. After tweeting that, “The more research you do, the more obvious it becomes that justice will only be served if Howard Lederer goes to prison.” Daniel Negreanu continued his crusade against Howard Lederer in his latest Vlog, regarding the Lederer Files. Daniel not only discusses the Lederer Files but delves into the numerous responses by poker journalists, bloggers and the community. Negreanu focuses on the common sense contradictions Lederer made, pointing out that either Lederer is lying or is the absolute worst businessman in the history of the world –which most people highly doubt is the case. The vlog has a number of radio interviews were industry insiders refute Howard’s claims on a number of fronts. The video is about 24 minutes long and is a must watch for anyone following the FTP/Lederer Files saga.